Reading The Ethical Carnivore by Louise Gray and it has unleashed my inner hunter gatherer. Not sure what to make of it! And to add some lamb to the mix, we will go back to Yarallah Lamb where we’ve ordered lamb packs from Tom and Cath in the past. Now to find an appropriate place for our pantry supplies like bulgar and barley and lentils. Any thoughts? Back in January I thought it would be easy to smash through this 98-page guide on Life Lessons from Kierkegaard by Robert Ferguson for The School of Life. I actually found it incredibly hard to follow and I loved that because it made it more of a challenge. The Kierkegaard excerpts were the tough bits. And Ferguson makes people like me understand a tenth of it. Despite this, I did take some thoughts from it. Am I on autopilot right now? Am I living an aesthetic (in the moment), ethical (focused on myself as a goal) or religious (no idea) life? With all the Instagram accounts and Real Housewives of Springfield episodes, am I losing sight of what’s real and what’s fictional? Am I falling asleep each time I create comfort in a memory from a past experience? Should I try to create happiness in a new way in each moment? From Diapsalmata, “People demand freedom of speech as a compensation for the freedom of thought, which they seldom use”. This might be the most frightening thought itself. Not sure whether my thoughts should be unfiltered or what that means. When I justify not doing something I know I should do, this is a result of thinking too much. Almost happened last week for the gym session on Monday. I wrote my colleague two emails about not joining him. But I hit delete before sending both emails. What a waste of time and thoughts. In the spirit of our favourite sportswear company we love to hate, “Just do it”. And don’t think too much. This was my favourite lesson. As I have too much noise in my life. The TV is usually on. I’m always listening to music. I’m constantly distracted by Instagram and Facebook feeds full of absolutely valueless content. I also talk too much. I share too much. I don’t take enough time to process. I don’t meditate. I’m a bad listener. Kierkegaard: when “silence rests over the land, and from some far meadow you hear the lowing of cattle, or from a distant farmer’s house the homely bark of a dog”. Being truthful about life’s potential for awfulness is the first precondition for enjoying life. Is it harder to praise or complain about life? In the past, I would have said praise. Now I would say it is harder to complain about it. There are things that could be better, but there is so much more to praise than complain about. There’s a great School of Life video titled Should We Laugh Or Should We Cry? and it covers the philospher Democritus. Very relevant to these thoughts. Too bad Democritus didn’t extend his thoughts to women or slaves at the time. Kierkegaard urges us to hear the quiet background hum of death throughout our days. Not for it to spoil them. To enrich them. And remember to to waste them as they are not endless. No promise of tomorrow. Back a month or so I finished reading Marie Kondo’s The life-changing magic of tidying, and ever since I’ve been walking around starting statements with “Marie Kondo says” (to the disappointment of others). I can’t help it. I read something. I become a fanatic. The secret to Marie Kondo is just getting rid of stuff that doesn’t spark joy in your life (and yes, I have a second Marie Kondo book to read too – Spark Joy). I have a lot of that. The first step is to discard, then to tidy by category and the store your things. And you have to do it category at a time. You also have to do it right (tidying is not a family occasion, it can take months, and you should do it at the beginning of the day and at the start of the process, not sprinkled here and there). You shouldn’t have to tidy every day. Because once you go through the process and everything you have is in the right place, it all goes back there after it is used. Papers: this one will be interesting because I keep every single paper I come by (eek); goodbye medical records, goodbye whitepapers from seven months/years ago; and I will find a home for the white goods, sorry Marie! Photos – live in the now! I’ve started with a few items since I read the book. But now, I’m designated May “Marie Kondo May”. Just read a blog post from Seth Godin on saying versus doing. That when the gap between saying something and doing something becomes too big, people stop listening to your saying altogether. It’s a problem I’m all too familiar with, both at work and at home! It’s also a big deal when it comes to brands. You make a brand promise, and then failing when it comes to brand delivery impacts your brand. Whether you’re a company or an individual, same rules apply. After an amazing European holiday and crazy busy months leading up to it, I’m back! It’s time to get those herbs on the balcony: parsley, rosemary and thyme are critical with our eating habits… maybe some mint and basil too. Starting with a Pinterest board to capture the best way to use our space, and will then source to grow. Oh, and that will feed my interest in medicinal uses of herbs. Gin. Get onto it. Starting to like it. Had a simple drink the other night with gin, a little water and fresh cucumber. And I plan to purchase a bottle of The Botanist gin as a nice starting point to learn how to enjoy this drink more. City of London… Madeira… And other tax havens. Currently reading Treasure Islands: Tax Havens and the Men who Stole the World. What a great read and real eyeopener. Oysters. Having now eaten oysters in Portugal, Spain, London and Australia, I’m starting to question what makes these delicious molluscs develop different flavour profiles (the water, the location, the temperature). Something to look into! Author Narina AmvazasPosted on June 19, 2016 June 19, 2016 Categories LifeLeave a comment on Back! Absolutely addicted to three TV shows at the moment. Trawlermen: The Catch, The Tribe and, of course, Ultimate Hell Week. 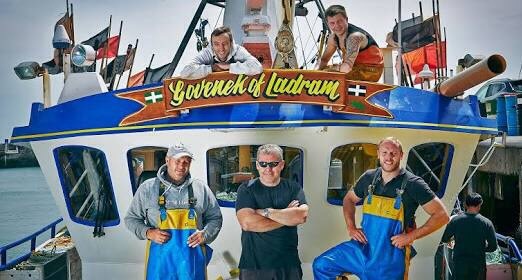 I love Trawlermen. Makes me wonder what trouble the local fishermen go through to catch what we eat from the seas each week. It also makes me wonder if I could survive such a job, out on the ocean braving the elements, battle the winds and rain and constant balancing life on the waves. I also love The Tribe. 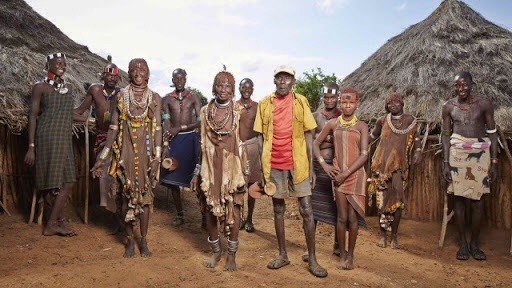 It offers a glimpse into the life of the Hamar People from Ethiopia, bringing us closer by exploring their social bonds, relationships, parenting, the trade off between going to school or tending to goats, courting for marriage, becoming an adult, living with illness like malaria. At the end of the day, it’s bringing us closer to people on the other side of the planet. A beautiful life that is simpler in appearance but still very much complex in the personal challenges one faces. And I love Ultimate Hell Week. If only I could achieve a tenth of what they muster, I’d be a completely different person. Something to aspire to. Talking yourself to the edge and pushing yourself to the limits of your ability. A physical and mental battle. Absolutely awe inspiring. Go #millersmash!! Got our third trek done today. 11.74km around Plenty Gorge in South Morang. Definitely felt fitter today and only had a few moments where I regretted ever signing up to the Three Peaks Challenge in 46 days. Wow, yes. 46 days to go for our training. Which means there are about (probably under) 35 days until the triathlon that I also signed up for. No idea what got into me that day. I have yet to master (hold up, learn!) how to swim. And I have only gotten on the bike once for about 500m (so that makes 9.5km to go on the bike!). I can run 2km nonstop though, so only 2km to go and to add the swim+bike+run sequence and I’m good to go. Never stop training and I’ll get there.